Since I have been living at home after finishing my degree, the state of our overstuffed freezer has become a source of great irritation. My mum insists on keeping enough food to last us for about 3 months, incase of being snowed in/car breaking down/zombie apocalypse. It’s got to the point where I can’t even use the freezer for its only useful purpose (storing ice cream) because it won’t fit. I go on periodic freezer clearing missions, which involve getting angry and defrosting random things that I somehow think I’m going to use (cranberry sauce, filo pastry, a piece of cake from the nineties). During one such mission, I came across some blackcurrants, probably dating from somewhere around my 10th birthday. So I decided to use them to make blackcurrant compote (jam, basically) to go on top of lemon possets. 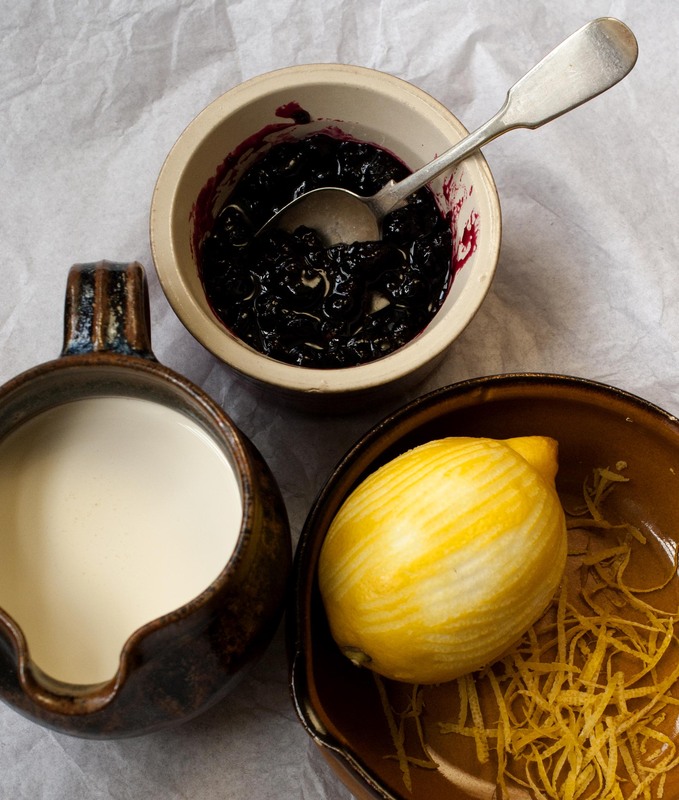 Despite its intimidating medieval English name, a lemon posset is a laughably easy pudding to make. Containing only three ingredients – lemon juice, cream and sugar- it can be whipped up in a matter of minutes and left in the fridge to set. Place the double cream and sugar in a pan over a low heat and bring to the boil slowly. Boil for 2 minutes, then remove from the heat and allow to cool slightly. Add the lemon juice and zest and whisk well. Strain the mixture through a sieve to remove the zest, or leave it in if you prefer a more intense lemony flavour. 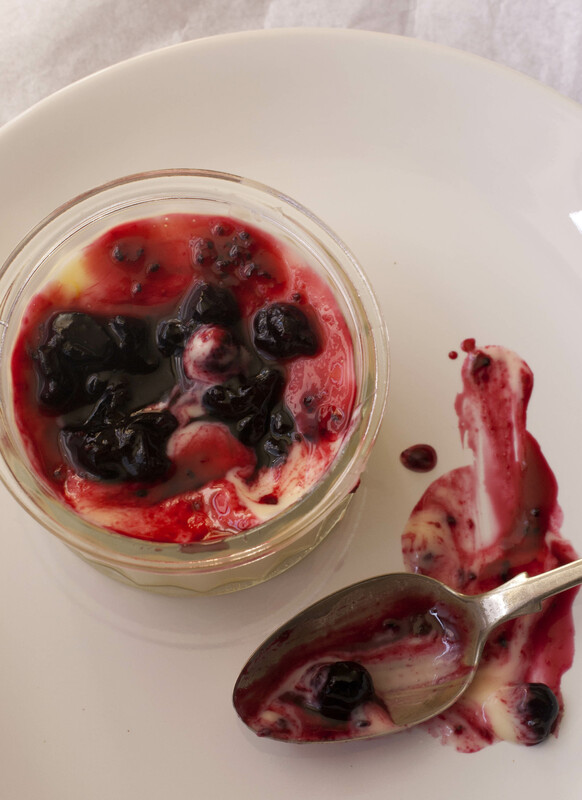 Pour into 4 glass ramekins and refridgerate for at least 3 hours. 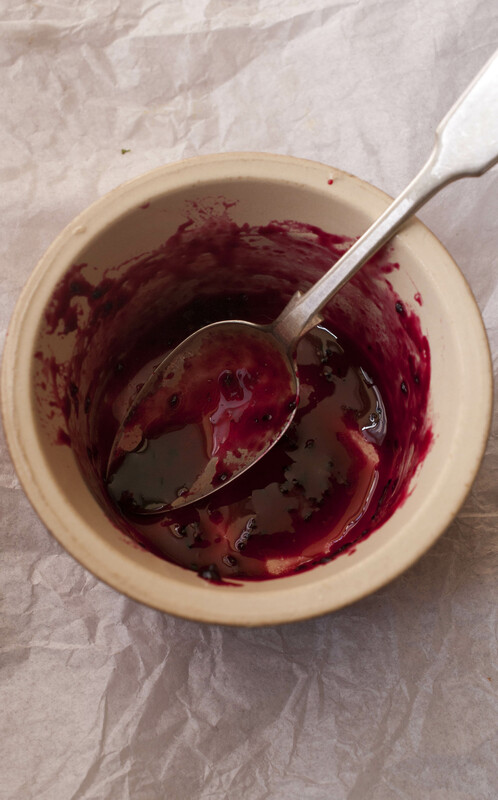 While the possets are chilling, make the compote. Put the blackcurrants in a pan with 2 tbsp water and the sugar, and simmer until it reaches a loose jam like consistency. 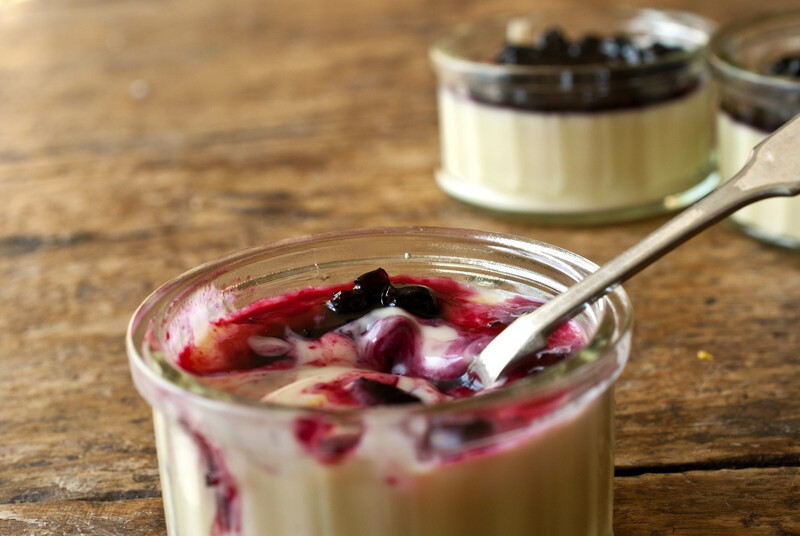 When the possets are set, spoon the compote on top. 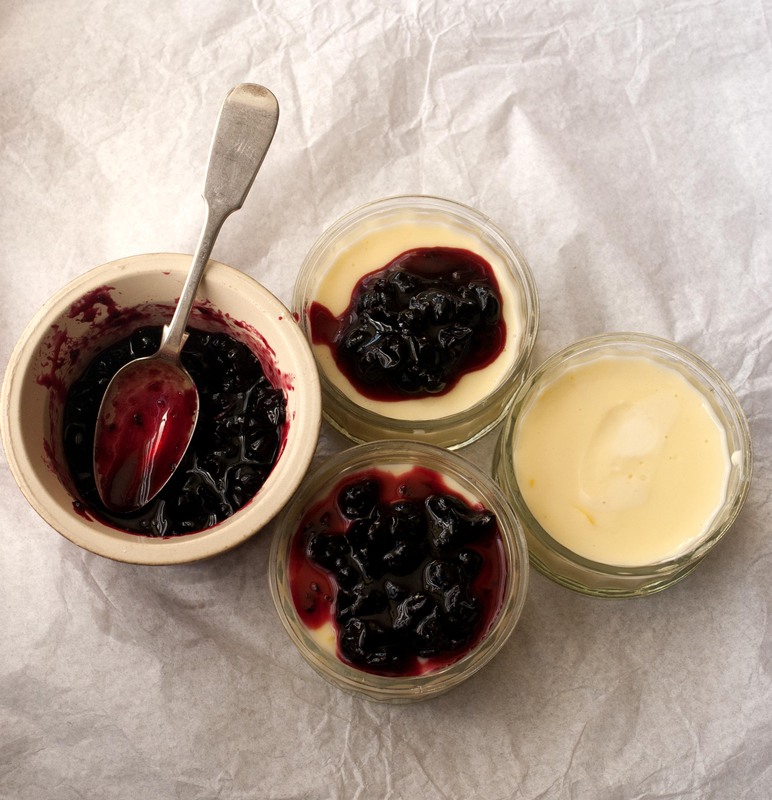 This entry was posted in Fruit, Puddings and tagged blackcurrant, creamy, lemon. Bookmark the permalink.